If you like fried chicken, pizza, Mexican food, or sushi, then you're in the right place. We have news about restaurant openings, spring menus, and cocktails. Oodles and oodles of cocktails. Drink responsibly, let's toast to that. Here's all the Dallas-Fort Worth dining news you need. 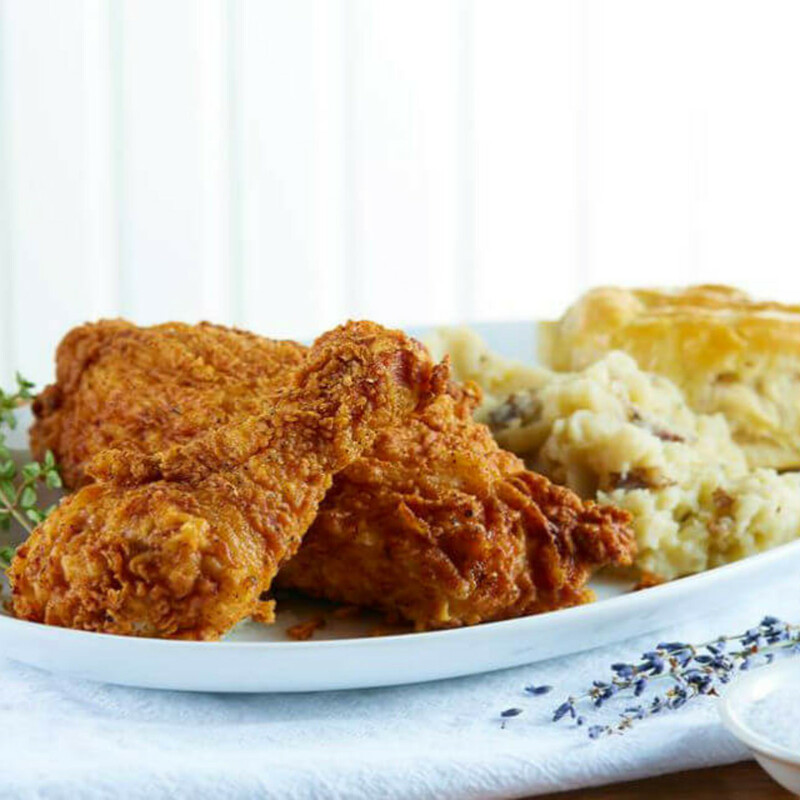 Street's Fine Chicken, the fried chicken concept from Street family members Gene, Marco, Mariel, Dace, and Tony, is now open for lunch and dinner in the old Black-eyed Pea space on Cedar Springs, which closed on January 2. There's a full bar and a menu featuring dishes "prepared with French flair" by executive chef and partner Tony Street. Chicken lollipops are chicken drumsticks rolled in Grand Marnier horseradish molasses. Boneless chicken thigh sandwich comes with Havarti, red onion, tomato, arugula, and Peri Peri pepper aioli on a ciabatta bun. 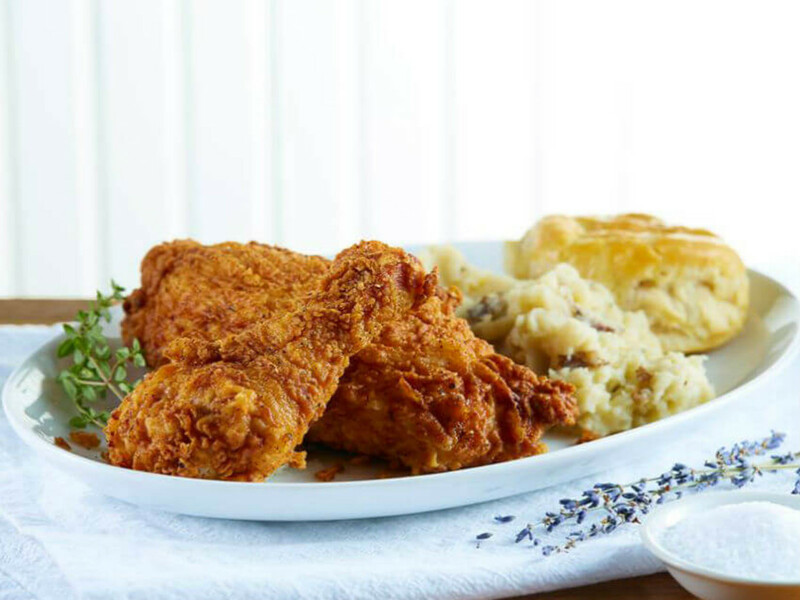 Fried chicken is brined and French fried in herbs from various French provinces, oh my. And chicken fried steak is griddled instead of fried. Mesero, the growing Mexican chain from restaurateur Mico Rodriguez, has opened its fourth branch in Addison, on Belt Line just east of the Dallas North Tollway, in a former Jakes at Prestonwood. It joins the original Mr. Mesero on McKinney Avenue, plus Mesero on Henderson and at Inwood Village. Butcher Board, the casual sandwich sibling to Sugarbacon Proper Kitchen in historic downtown McKinney, opens on May 25. The menu of 10 sandwiches includes roast beef, meatball loaf, porchetta with apple-jalapeno relish, arugula, and cabbage, and veggie sandwich with pepper, portobello mushroom, mozzarella, and basil mayo. 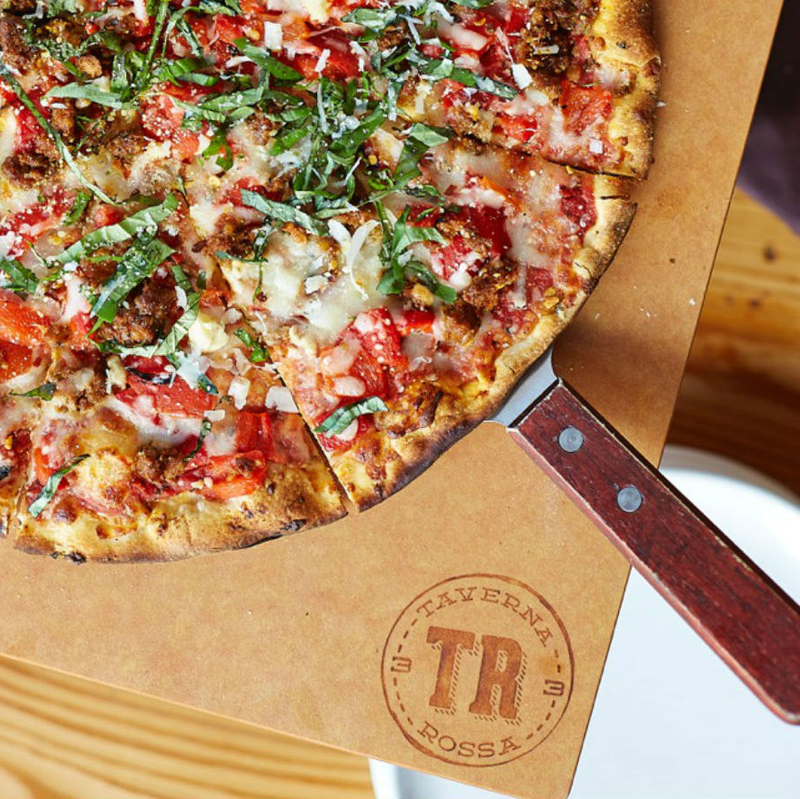 Taverna Rossa Craft Pizza and Beer opened its second location in Southlake, in the Park Village Center at 1151 E. Southlake Blvd. 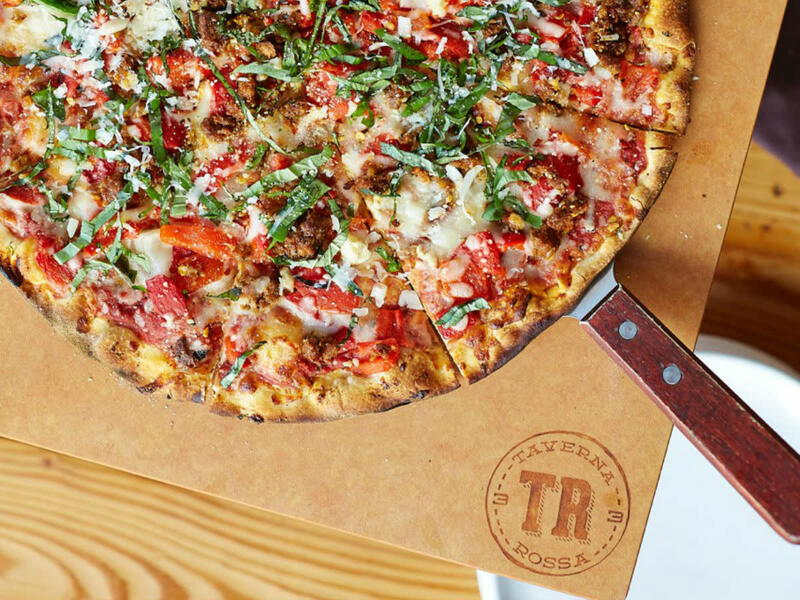 Launched by Preston Lancaster, who also owns Cadillac Pizza Pub in McKinney and four branches of Palio Pizza Cafe, Taverna Rossa specializes in thin-crust pizzas baked in a stone-fired oven and Texas-influenced Italian dishes such as salads, pastas, and sandwiches. Menu favorites include pizzas, meatballs, and lasagna made with Lakewood Temptress stout slow-braised brisket. The original opened in Plano in 2013. Hon Sushi is a new sushi place at 1902 E. Belt Line Rd. in Carrollton that stars "Chef Charlie," aka Charlie Yun, who most recently was head chef at Little Katana Blackship in the Omni Dallas hotel downtown. Previously, he worked at Kai Lana Sushi in San Luis Obispo, California, and owned sushi restaurants in Fresno. Unusual menu items include the sushi "boat" and a Japanese ceviche. Soy sauce is house-made, and Charlie's knife skills are said to be on point. Sabaidee is a mostly take-out spot, just a couple of benches, that serves Thai and Laotian food, including Lao salsa, Lao spicy sausage, and heavenly beef, a sweet-savory dish sometimes dubbed "beef jerky." 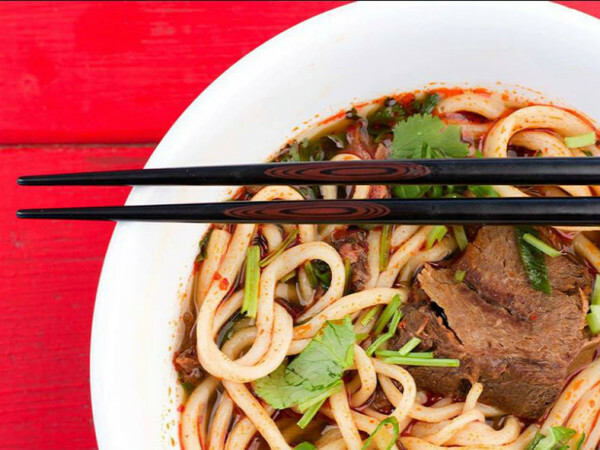 Located in the former Sakhuu Express space at 5200 Lemmon Ave., it's open for dinner plus lunch, with a menu of $8 specials for lunch. Daireds Café in Arlington, located inside Daireds Salon & Spa Pangéa at 2400 W I-20, has a new menu from chef Dawn Staniford. Dishes include smoked salmon, frittatas, sandwiches, quinoa bowls, and a chocolate mousse dessert made with avocado. The Ranch at Las Colinas has a new spring menu. Dishes include black-eyed pea hummus with flatbread, 44 Farms beef belly sliders, duck egg, poutine wedge salad, and lamb chops with oyster mushrooms and butternut squash. There's an accompanying new cocktail menu with drinks such as the Texas mule with vodka, jalapeño, and ginger beer, and one with grapefruit vodka, campari, and lime juice. 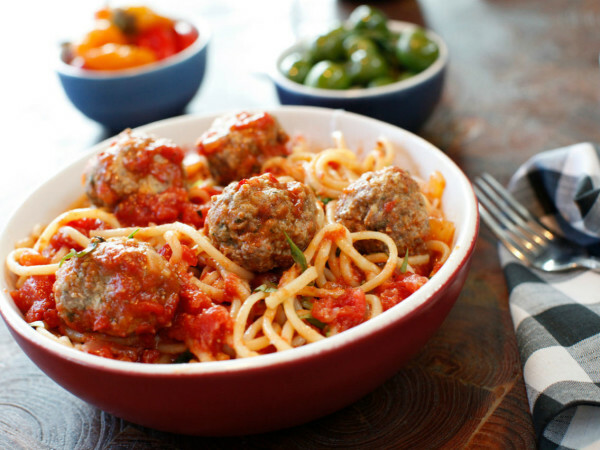 Lark on the Park, the Shannon Wynne restaurant across from Klyde Warren Park, has a new seasonal menu that includes quail; lamb meatballs with fava bean salsa; and spring vegetable tagliatelle pasta with English peas, baby carrots, favors, mascarpone, and mint. At lunch, there is a toast topped with English pea puree, sugar snaps, watercress, mint pistou, and goat cheese. Yes to that. New desserts include lemon honeycomb semifreddo with strawberry rhubarb jam, tapioca pudding with coconut milk and tropical fruit, and chocolate almond cake with apricot tamarind curd and caramel ice cream. V+V Apothicaire, which makes juices, has a new line of chilled soups, sold in 12-ounce plastic bottles at Whole Foods. The soups are made of vegetables and come in three blends: gazpacho, kale avocado basil, and harvest mélange. 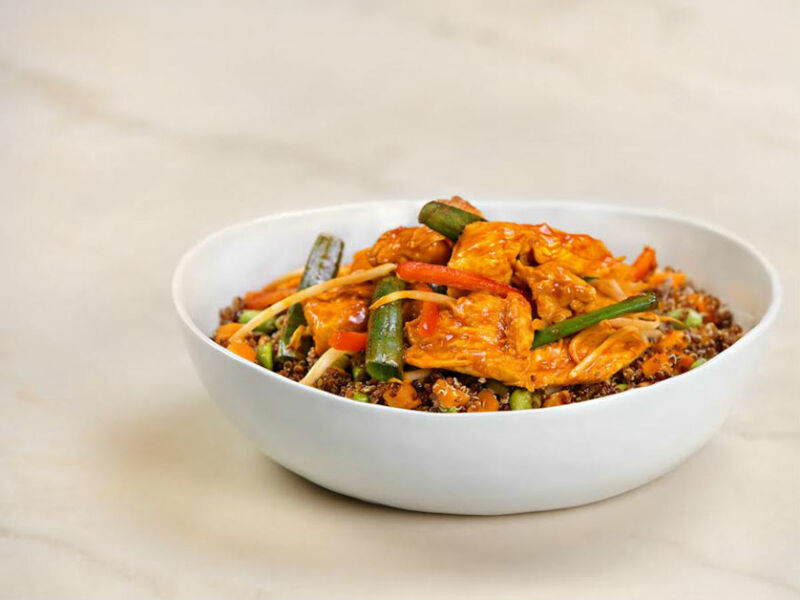 Pei Wei has added quinoa to the menu, through July 4. The nutrient-dense ancient grain is featured in a dish called Korean spicy, with carrots, edamame, red bell peppers, bean sprouts, and scallions. Inspired by the sweet-tangy-spicy flavors of traditional Korean bulgogi, the dish is wok-cooked with sesame oil and spicy sauce, then tossed in soy sauce. It can be ordered with chicken, steak, shrimp, or tofu. 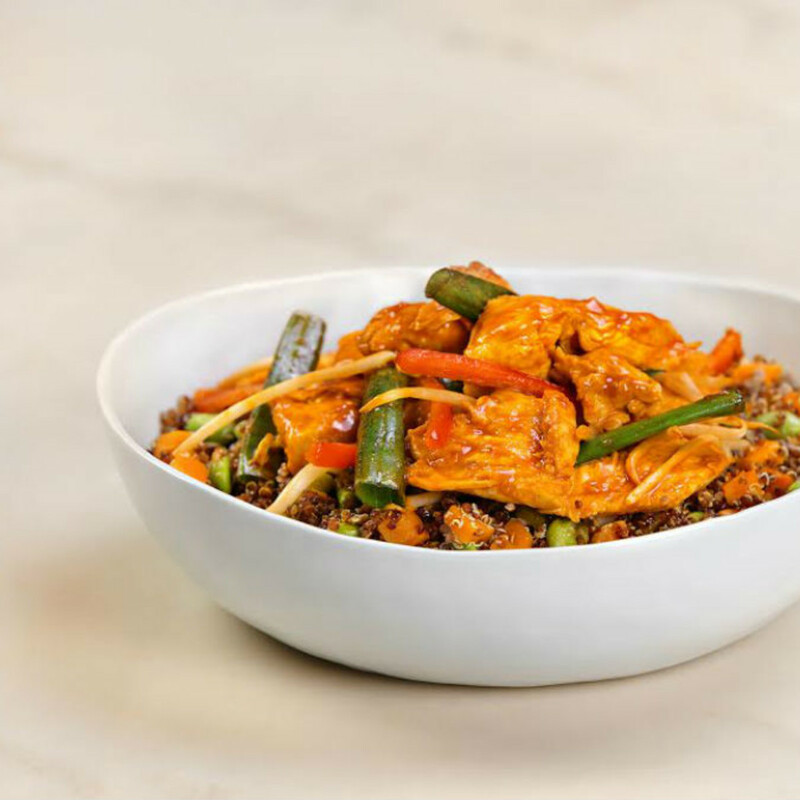 Guests can also pair quinoa with any of Pei Wei's entrees for an additional 99 cents. 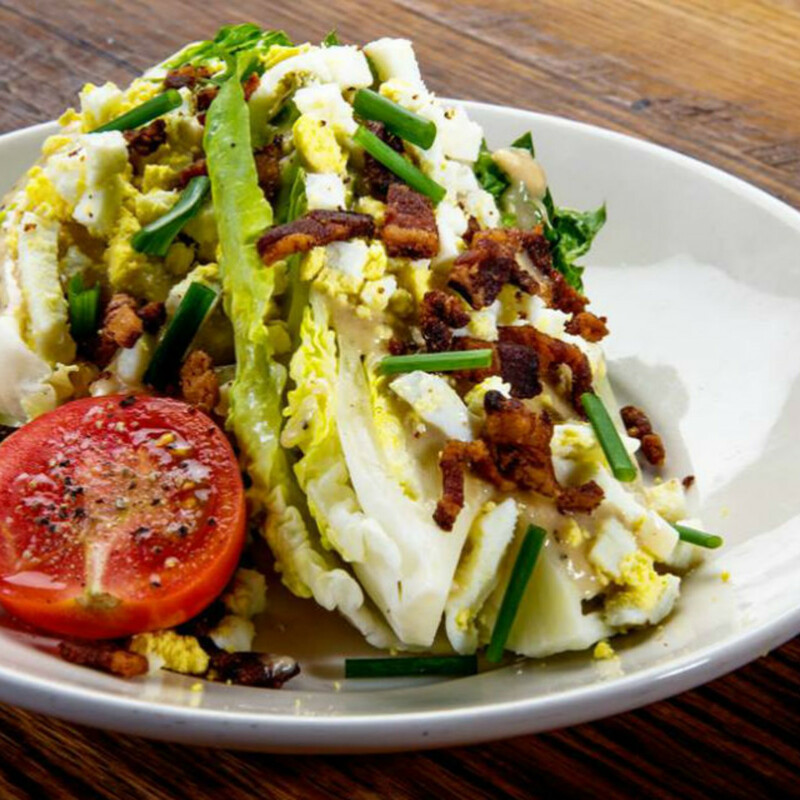 Ida Claire, the Southern cousin restaurant to Ranch at Las Colinas, is adding four new salads. Bacon and egg comes with mizuna, frisee, Brussels sprouts, lardons, dried cherries, Asiago cheese, and an egg. Pickled shrimp comes with gem and romaine lettuce, radishes, asparagus, marble potatoes, and ricotta salata. Chicken and stonefruit has kale, stonefruit, goat cheese, peppers, and sunflower brittle in sorghum vinaigrette. The chopped salad has gem lettuce, mirliton, okra, Benton's ham, tarragon, pickled peppers, boiled egg, and spiced almonds. Prices run from $9-$14. Quill Lounge, the new-ish cocktail lounge in the Dallas Design District, has launched a sushi and sake special happy hour menu for Thursday evenings. There are also hand-crafted Japanese-inspired cocktails. Quill is the supergroup collaboration between Richard and Tiffanee Ellman, owners of Oak, Pakpao, and El Bolero, and Joe Palladino, owner of Nick & Sam's, Nick & Sam's Grill, and Coal Vines. Starbucks has limited-run drinks this summer, including one that is available only through July 4. Caramel Waffle Cone is a new Frappuccino made with waffle cone syrup and dark caramel sauce blended with coffee, milk, and ice, topped with whipped cream, waffle cone pieces, and dark caramel sauce. Here all summer long is last summer's flavor, S'mores Frappuccino, made with marshmallow-infused whipped cream, milk chocolate sauce, coffee, milk, and ice, and finished off with marshmallow-infused whipped cream and a graham cracker crumble. The Mini Frappuccino beverage, sold in a 10-ounce serving size and first introduced nationally last summer, will be available for a limited time. Their foods for the summer include a S'Mores bar, raspberry swirl pound cake, ice cream sugar cookie, and snack bags of dried coconut and apple chips. Kenichi, the sushi spot in Victory Park, has the coolest new thing at the bar: sake on tap. It's a cost-effective, quick, and environmentally friendly way to serve the rice-based Japanese spirit, says Kenichi owner Josh Babb. The sake they'll pour is Bushido Way of the Warrior Premium Junmai Genshu, which exudes tropical notes of passion fruit, mango, and peach with hints of white flower and anise. Beyond the cost and environment benefits, many say that wine and sake from kegs tastes better than bottled varieties, because it does not require corking and oxidation. We say that all the time. Kenichi has always been a leader when it comes to sake, with a sophisticated sake menu and a Level II sake sommelier on staff. In June, Grapevine Craft Brewery will release Prickly Pear Wheat, its first fruit beer, on draft and in six-packs. It's a 6.1 percent ABV wheat ale with a striking magenta color, as the beer is made from real fruit puree and not a flavor extract, giving the beer a natural prickly pear color. The beer is the creation of head brewer Jonny Daylett, who first conceived it for Frisco City Grain Works almost three years ago. When that brewery never got off the ground, he joined Grapevine, where he's issued a series of acclaimed releases from their Brewers' Reserve series, most notably, the Brewers' Reserve Double IPA now on draft in select locations across North Texas. Other upcoming releases to put on your drink card include Tropical Double IPA with blood orange and mango, for sale on draft and in four-packs; and Brewers' Reserve Tart Cherry Berliner Weisse, draft only. Midnight Rambler has launched a seasonal cocktail menu for summer/spring. The Neroli Negroni is made with London dry gin, campari, vermouth, and neroli. The White Rose has white apple brandy with dry and blanc vermouth. Berlin Trilogy is an ode to David Bowie with Tito's vodka, genever, kummel, fino sherry, and Aladdin Sane grapefruit lightning bolt. The Montserrat has mezcal, rhum agricole, pineapple syrup, and lime. They're also working on a bubbly daiquiri that will be served in a 750 ml bottle, to be shared by a group. Woodshed Smokehouse in Fort Worth has a new cocktail menu featuring whiskeys from the Texas Hill Country that are part of the Rebecca Creek Distillery lineup. The smoked Old Fashioned is made with Rebecca Creek whiskey, smoked ice, and bitters. The Cowtown cocktail combines Texas Ranger Whiskey with blood orange and strawberry lemonade. Stampede 66 has a new seasonal cocktail menu with some colorful drinks. The Purple People Pleaser has Ford's gin, vermouth, and Chambord. The Pegasus has Deep Eddy grapefruit, agave, mint, basil, and prosecco. Uptown Punch has Absolut Elyx vodka, hibiscus, passion fruit, and dry vermouth. Malai Kitchen has hired brewmaster Matt Reynolds to oversee the restaurant's house beer program. 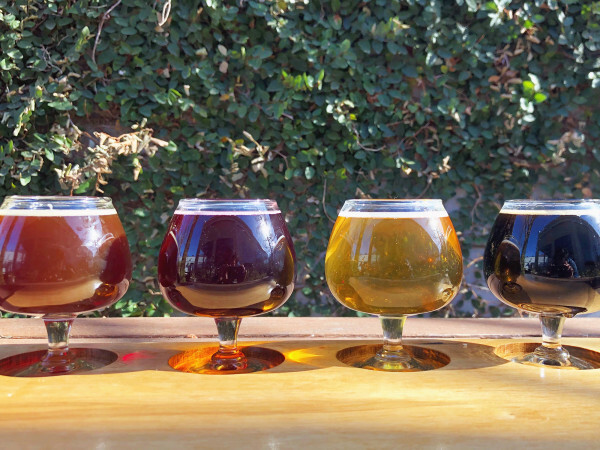 Reynolds is a 2011 graduate of the University of North Texas, with a degree in mechanical and energy engineering, and he left his engineering job to become a full-time brewer. Utilizing his engineering background and knowledge of craft beer, Reynolds will oversee the creation and production of Malai's portfolio of Southeast Asian-inspired brews, including recipe testing and development, and researching current beer trends to ensure Malai stays on the forefront. 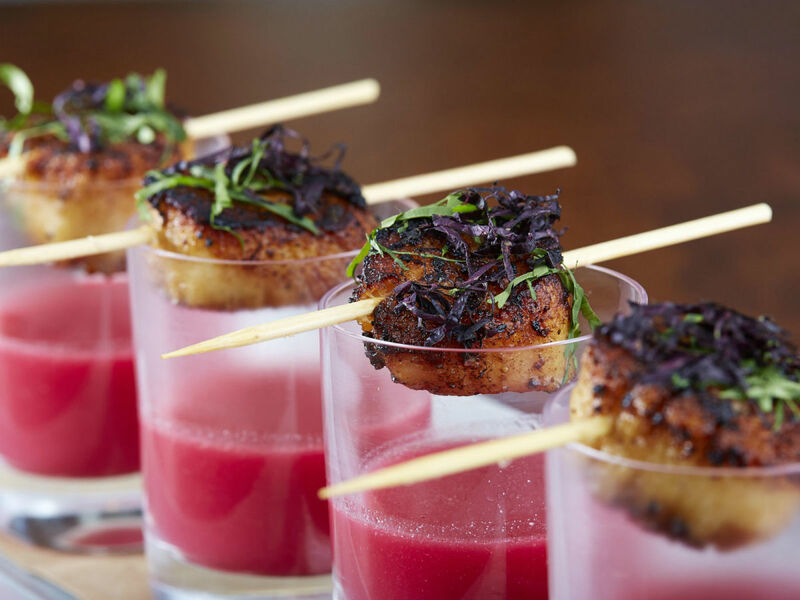 Cook Hall, the gastropub at the W Dallas–Victory Hotel, has a new menu through the end of summer from chef Vijay Sadhu. 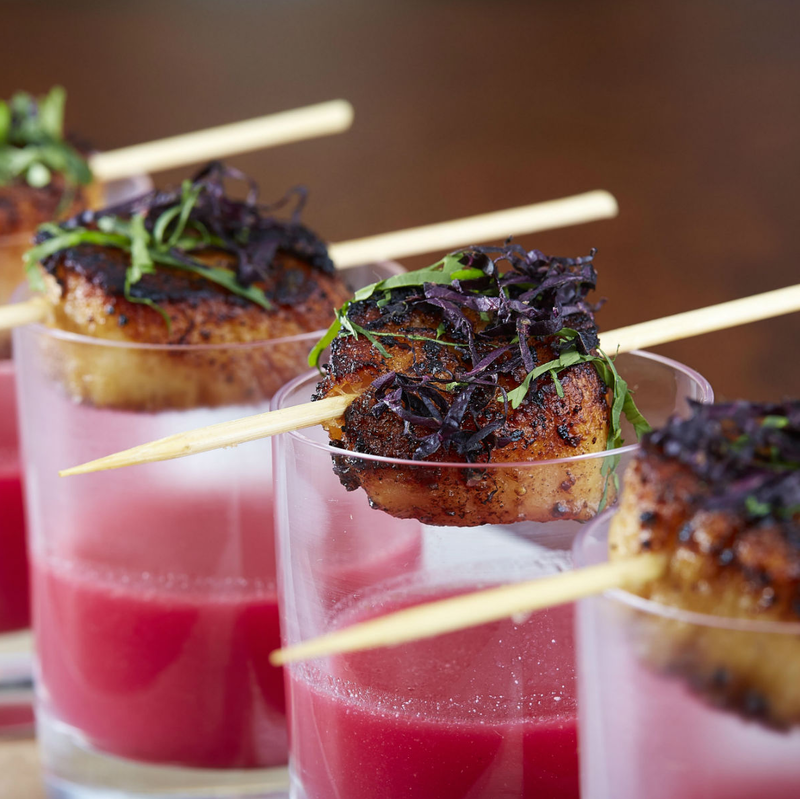 Highlights include smoked brisket cakes, fried chicken bites with jalapeño BBQ sauce and pickled onions, salmon succotash, and chicken meatballs with kale pesto. Draft Media Sports Lounge at the Sheraton Dallas Hotel has a baseball-themed menu for the MLB season, with $9 baseball-themed foods and $6.75 beers. The foods include two mini hot dogs served with chili, cheese, onions, and chopped jalapenos; smoked brisket tacos; fried mac and cheese balls; sweet potato fries; and fries with queso, caramelized onions, and bacon. 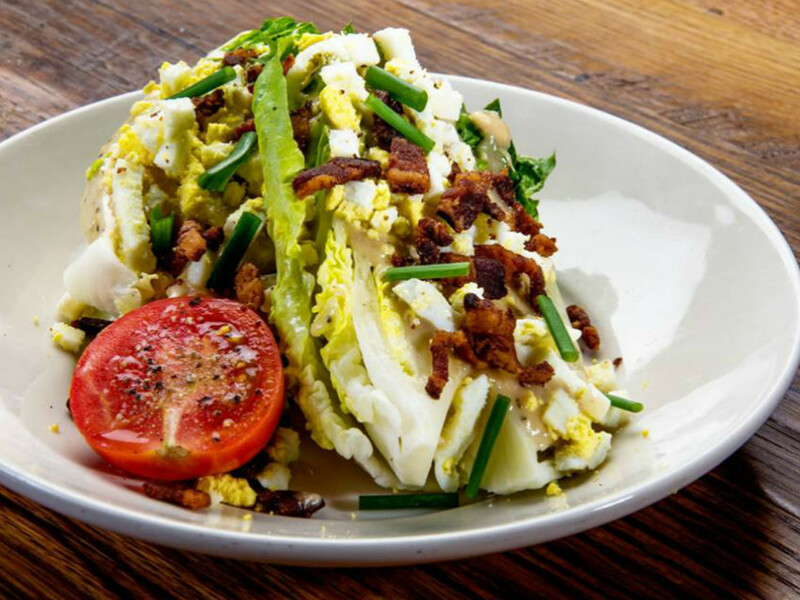 Bread Winners Café & Bakery ​has new summer salad entrées on its lunch and dinner menu. They'll appear as daily specials, with a different one every day, priced at $11 at lunch or $13 for dinner. Monday is a hot chicken salad with salad greens, carrots, and celery with blue cheese dressing, topped with chicken tenders. Tuesday is a spinach berry salad with strawberries, blueberries, and raspberries, tossed in strawberry balsamic vinaigrette and topped with grilled chicken. Wednesday is an Italian chopped salad with soppressata, chicken, peppadew peppers, kalamata olives, mozzarella, cherry tomato, and romaine, served with Tuscan toast. Thursday is a taco salad with lettuce, tomato, corn, cheddar, and ground Akaushi beef. Friday is an avocado shrimp salad with Bibb lettuce in green goddess dressing.